“Yes, please.” (Are kids always more polite when you recall earlier conversations? Maybe.) 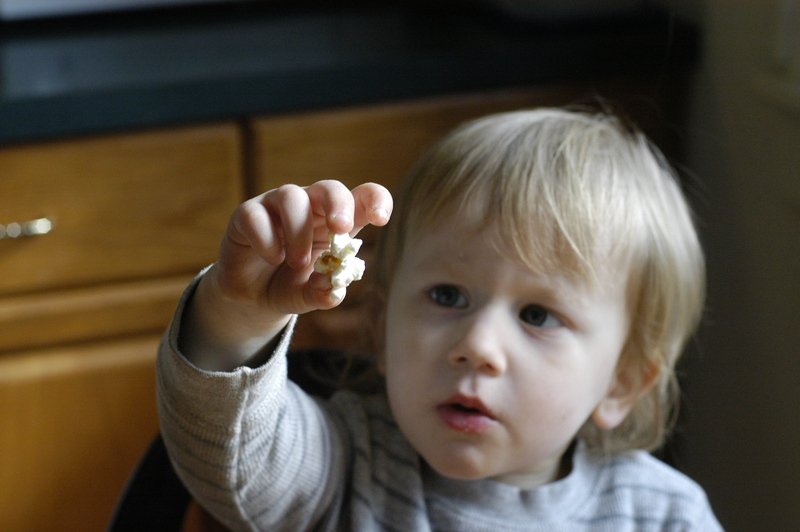 “Popcorn!” says the little one. 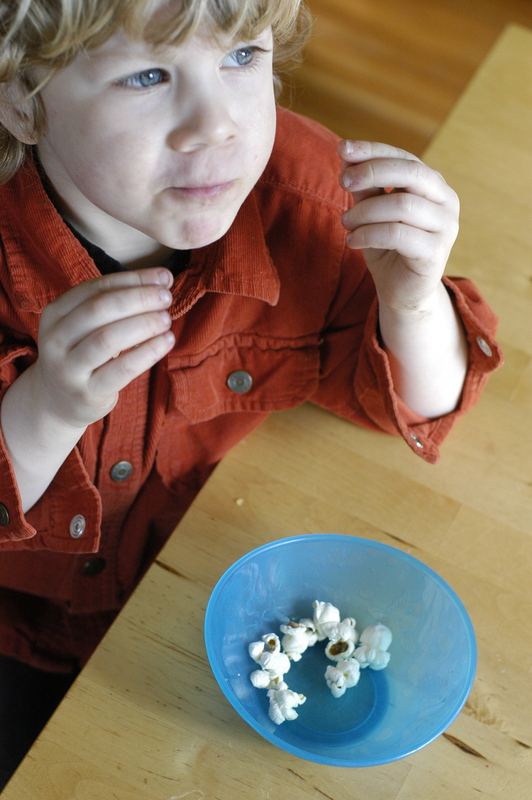 So, you obviously don’t need me to tell you how to make popcorn. We use a pan on the stove with rice bran oil, which I’m enjoying. 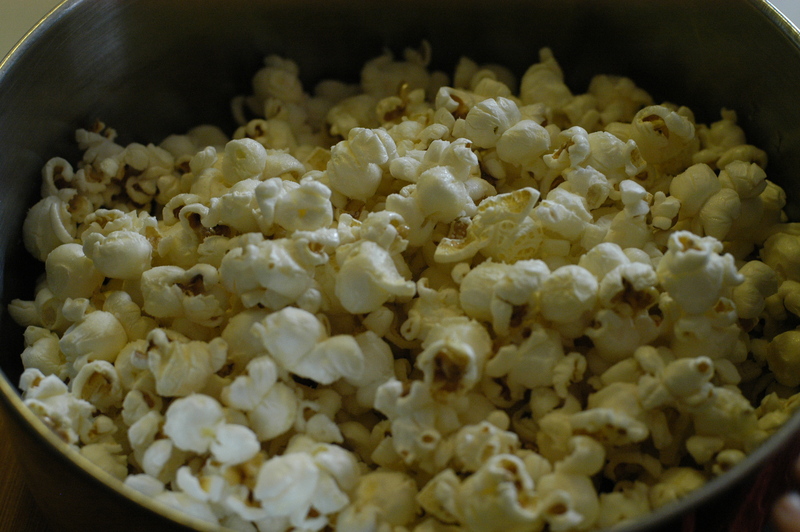 The real reason for the post is to say that using hickory-smoked kosher salt, smoked maple syrup, a teaspoon of sugar-in-the-raw, and a knob of butter makes for a kind of smoked kettle corn thing that’s a pretty great rainy day Saturday movie snack. 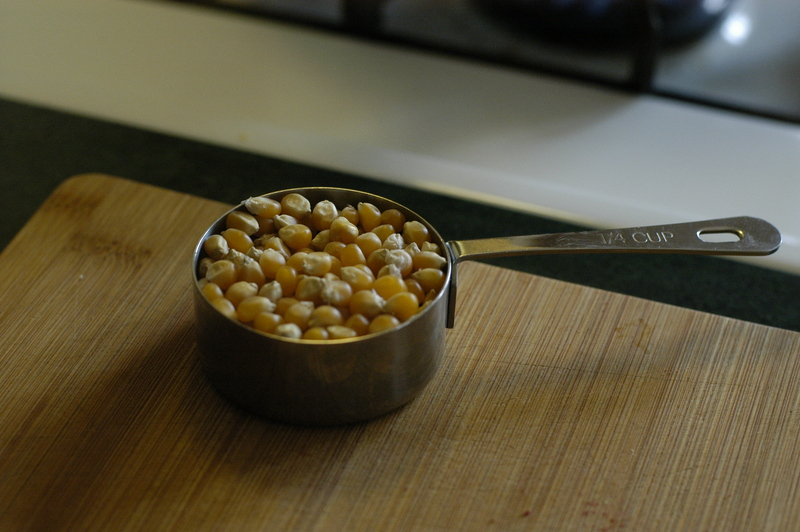 This entry was posted in science, technique, vegetables and tagged McGee, popcorn, science, smoked spices, snacks. Bookmark the permalink.